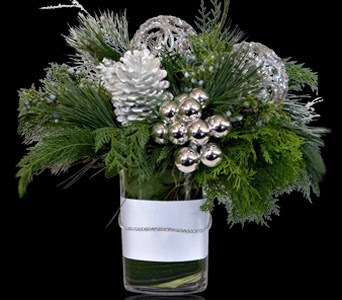 Add some sparkle to your New Year's celebration with this custom floral arrangement filled with fragrant seasonal greens adorned with silver ornaments & pine cones arranged in a vase bound with white satin ribbon and crystals. 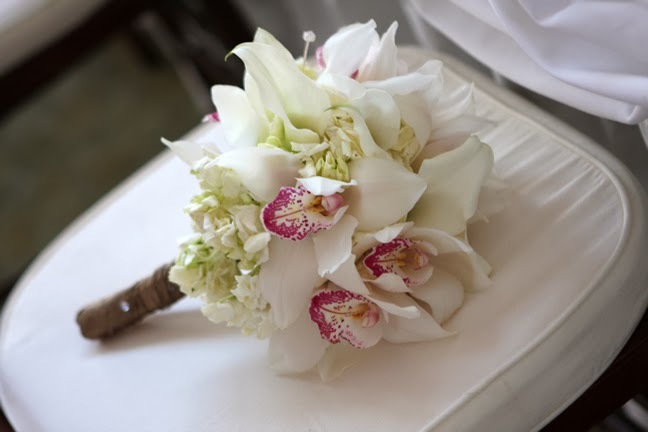 Take a look at our Dazzling Elegance Featured Wedding at The Lighthouse at The Seaport Hotel! May The Magic & Wonder Of The Holiday Season Stay With You Throughout The Coming Year. 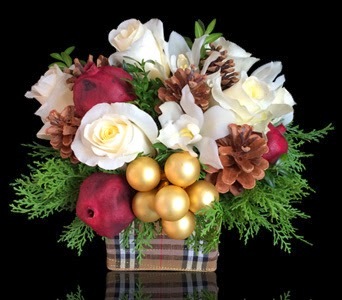 Fill your home with holiday cheer with our Colors Of Christmas custom floral arrangement including silver ornaments & glittery ribbon. Get your orders in now, Christmas is only 5 days away! Get your holiday orders in now. For instance, this beautiful centerpiece, Classic Christmas Composite, is a perfect festive accent for your long dining table. 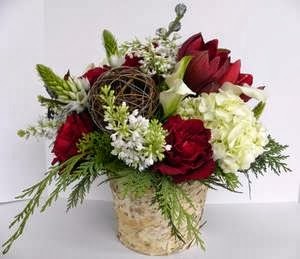 Or place each vase in various rooms around your home. 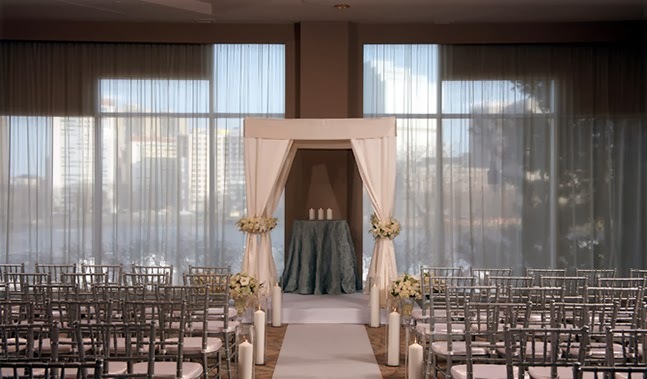 Take a look at our very own Boston royal wedding! To view more photographs from their wedding, click here. 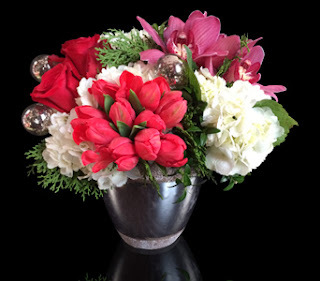 Have you ordered your custom holiday arrangement from Stapleton Floral Design﻿ yet? We had the honor of providing custom arrangements for a holiday party hosted at the Museum of Fine Arts, Boston. For one area, our design team created a rich palette to include tones of matte/satin golds, rich greens, whites and browns. 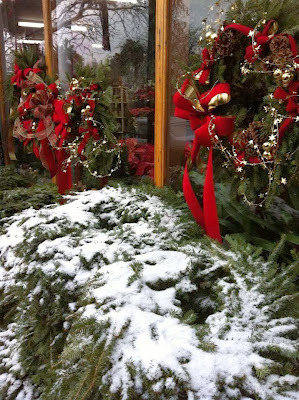 For another area, they featured a snowy ice winter palette of whites, silvers and blues. To view more photographs from this event, click here. 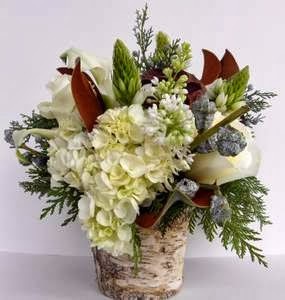 Accent your home for the holidays with this unique white birch vased floral arrangement, White Holiday Birch, filled with hydrangea, lilacs, star of Bethlehem, calla lilies, roses, eucalyptus pods & magnolia leaves! 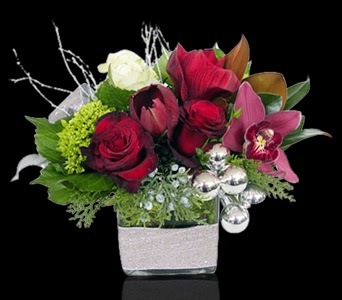 Custom Holiday Arrangements Are Here! 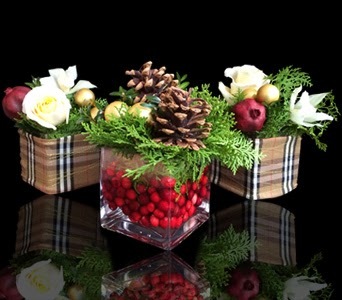 'Tis the season for our custom holiday floral arrangements! 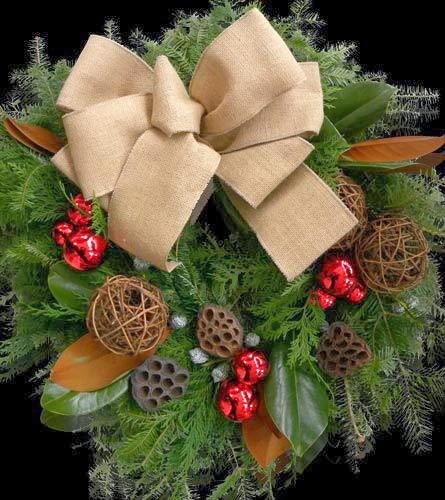 A beautiful gift or home decor item, a thank you to a gracious host(ess) or an eye catching holiday dinner centerpiece. 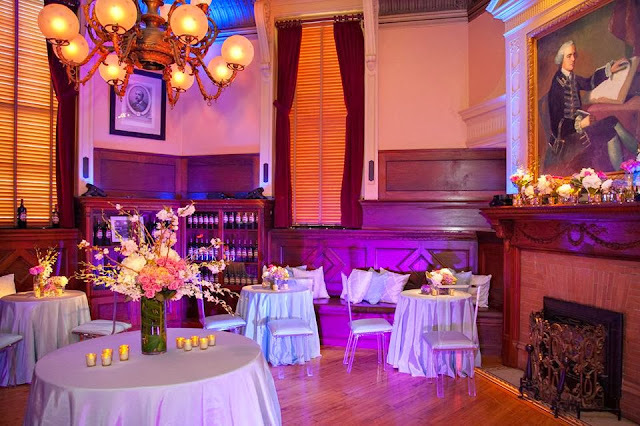 Have the Stapleton Floral Design Team create custom floral arrangements, decor & centerpieces for your private event or celebration. From bridal & baby showers to holiday & birthday parties, we will sit down and discuss all of your ideas and help make them happen! For more information or to schedule an appointment, please click here. 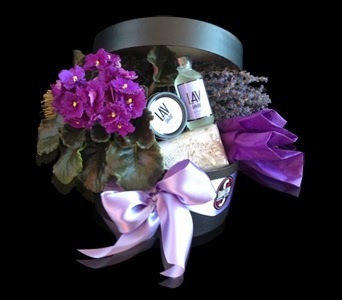 Our Luxurious Lavender Gift Box is a lovely holiday gift for someone special! Lavender is a wonderful aromatic fragrance and is also known for its calming, soothing benefits. The gift box includes an Archipelago Botanicals soy candle & diffuser set, as well as a Pre de Provence shea butter soap bar, dried lavender & a premium African violet plant in a ceramic container. 'Tis The Season - On To The Holidays! We hope that everyone had a wonderful Thanksgiving! On to the holiday season, are you as excited as we are?